In 2011 a new star was born. 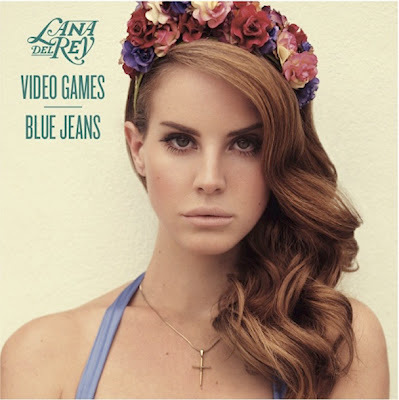 Lana Del Rey the throaty soulful songstress burst onto the scene with her single 'Video Games' which quickly gained a spot onto the prestigious 'Now' CD. 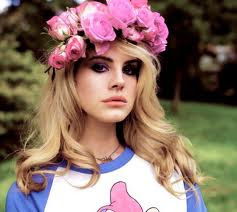 Her follow up -'Born To Die'- saw a much higher budget video with tigers and and rather bloody Lana. The singer seems to be unstoppable. However, Her quick rise to fame is also tainted with controversy and anger from the public. For starters Lana Del Ray is NOT her real name. In showbiz, having a stage name is no big deal, however, when its being used to cover up your past life of privilege and plenty, it becomes a different story. Lana Del Rey said in one of her first interviews that she had grown up with very little in a trailer park in New Jersey. The sad story gained her a lot of media coverage and it soon came out that in fact, Del Rays REAL persona Lizzie Grant actually grew up into a family of wealth and excess, her father being a multi millionaire. Fans were hurt that they had been conned into believing Del Ray's sob story. Looks like Lana got too caught up in her 1950s Hollywood-esque style and forgot that in the 21 century you can hide nothing, thanks to the wonders of the internet. Then there was the total re-brand behind Lana's supposed 'debut.' Unbeknownst to most of her fans, Lana had previously attempted to enter the mainstream world of pop in 2009 with a single 'Kill Kill' using her real name- Lizzie Grant. Unfortunately it didn't make the -excuse the pun- killing Grant and her team had hoped for, so in 2010 she came back with a more professional outlook with a producing team behind her. She released her first album 'Lana Del Rey A.K.A Lizzie Grant.' But with the Grant name came speculation that her career was being funded by her generous millionaire father and the second attempt to launch Lizzie career was a failure. Not one to give up, Del Rey came back in 2011 without the name Lizzie Grant and with a much more individual look. With the re-brand and new name came a new face. Had she had surgery? Many suggest Del Rey's luscious lips were plumped between her two music debuts and others have suggested she has also had a nose job. Bigger lips, bigger hair, bigger eyes.... bigger star?! This caused up roar as journalists reported how the starlet had been specifically manufactured to suit the market. Like a Barbie Doll, almost. From there Del Rey blew up. Like marmite her throaty tones are either loved or hated but no one cane deny she is talked about (be it in a good or bad light). The next round of controversy came in the form of Del Ray's Vogue interview and cover spot. Even people who love her music wondered how someone who had only been known about for a few months could've snagged such a prestigious place in the worlds most famous magazine. Many people were up in arms about it and twitter was rife with talk over whether she deserved this coveted spot. As if ONE conveted prize wasn't enough for Del Ray, she has also gone and bagged herself another. Her very own mulberry bag design. To be named 'The Del Ray' Lana has been sporting a white version of her bag and is said to be thrilled with the news. However, fans of Mulberry and Alexa Chung are not so pleased. Many fans feel like you need to earn your stripes before you get a bag named after you and considering Del Ray is neither a veteran of music OR fashion, she is hardly a suitable candidate for a Mulberry bag sponsor. Lana with The Del Rey Mulberry in White Ostrich. So as Del Rey continues to "trojan horse" her way into the limelight, will her music stay above the shaky grounds on which it was built? Or will the foundations cause the young indie stars fame to be short lived? Is she really just a puppet in an expensive game of managers, producers and reaserchers? However little we know about the truth behind Lana Del Rey, the facts remain that she is one of the most controversial figures of 2012, already. How do you all feel about Lana Del Rey and the controversy surrounding her?